When I contacted the office of Farid Wassef, PC candidate for Oak Ridges-Markham, I was told that the current week was difficult, but that they would check and let me know when we could schedule an interview. That was over two weeks ago. Time passed with no return call. So I called again. An interview was scheduled, then cancelled the night before. A pattern began where I would call the office, be promised a call back, then be ignored. Today, exactly one week before election day, I finally got a definite answer. No interview would be granted. The reasoning given: Farid is well known in Stouffville and as his record (supposedly) speaks for itself here, he needs to concentrate his efforts on canvasing in the surrounding areas. On the phone I questioned the notion that Farid's record stands for itself in Stouffville. I am a resident of Stouffville and will be casting a vote in Oak Ridges-Markham next Thursday. Yet even with my strong interest in the town and local politics, I didn't know anything about Farid Wassef or his record before the election was called. Stouffville is changing. The town's population is exploding with many new families moving into our community. These people cannot be expected to know about Farid's record any more than I did. And where does someone like myself — or many others in Stouffville — turn to now for information? When doing my initial pre-interview research my first step was to enter Farid Wassef in a Google search and browse the first page results. Then there is the big hairy gorilla in the room: The fifth link that comes up on Google's first page is a discipline case posted on the Ontario College of Pharmacists website. There is in all likelihood a good explanation for why the PC candidate for Oak Ridges-Markham received a fine and three-month suspension of his certificate of registration with the College in 2002. Had his team agreed to grant us an interview, I could have asked Farid about this and given him the chance to explain. Also flawed is the idea that an interview with Stouffvile Connects would not get Farid in front of voters in other areas of the Oak Ridges-Markham riding. Given the busy nature of people's lives, it is not unreasonable to expect that many will use the Internet over the next week to learn more about candidates before they vote. Stouffville Connects' video interviews with election candidates often appear on the first page of Google's search results. Search engines like Google do use some geo-targeting, but are not so precise as to be able to draw a line based on whether the searcher is north or south of Elgin Mills. So had they granted us an interview, a search for Farid Wassef would have had the potential to bring up a Stouffville Connects video, whether the searcher lives in Stouffville, King, Markham or Richmond Hill / Oak Ridges. Voters can learn about Dr. Helena Jaczek (Liberal), Joe Whitfeld (NDP) and Trifon Haitas (Green) online by watching in-depth video interviews we have done with each of these candidates. Yet for those searching online, Farid Wassef remains a virtual unknown. In all likelihood, it was probably not Farid Wassef himself who made the decision about whether to do an interview with Stouffville Connects. Nonetheless, he is the one who will be affected by any impact from this decision on election day. The PC's provincial platform and where Tim Hudak stands on province-wide issues is well publicized. Yet there are also important local issues that need to be considered on election day, which makes it just as important to understand the position of the Oak Ridges-Markham candidates when deciding how to vote. 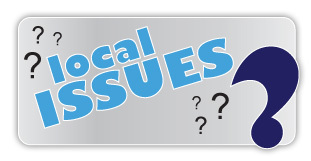 Local issues are exactly what Stouffville Connects' questions are designed to address. For example, will the local candidate support the re-allocation of Stouffville's greenbelt lands along the 404 corridor when a review comes up in 2015? Does the candidate support two way Go service? The Liberal, NDP and Green party candidates have told us where they stand on these important local issues. Farid Wassef declined the opportunity to do so. He may be the very best of candidates. Or he may not. Without an interview all have are questions, without answers.